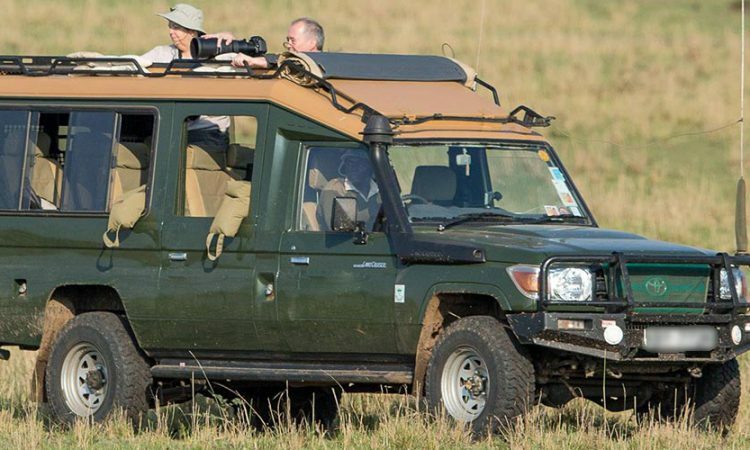 The customized safari land cruiser id one of the most popular safari cars in Africa ideal for families and small groups. This 4X4 car can accommodate up to 8 people with adequate leg room and cargo space. The pop-up roof coupled with inbuilt fridge, air-conditioner and 4 wheel drive mechanism make this the perfect car for camping safaris as well field operations. This Land cruiser is designed to handle tough terrain and with stand all kinds of weather you encounter along the road trip. Rent Safari Land Cruiser in Uganda at US$ 150 per day including driver/ guide , no fuel.